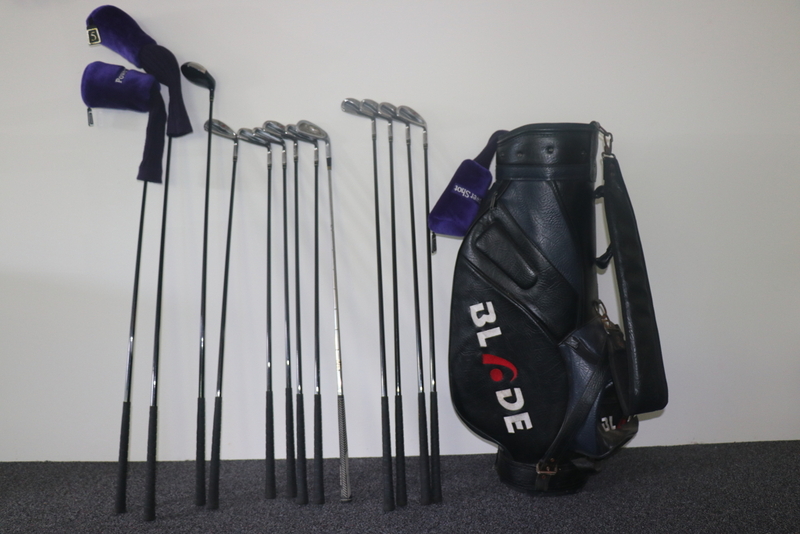 Full set of full size right handed Clubs. High quality clubs, Powershot brand, perimeter weighted and graphite shafts on the woods and irons. 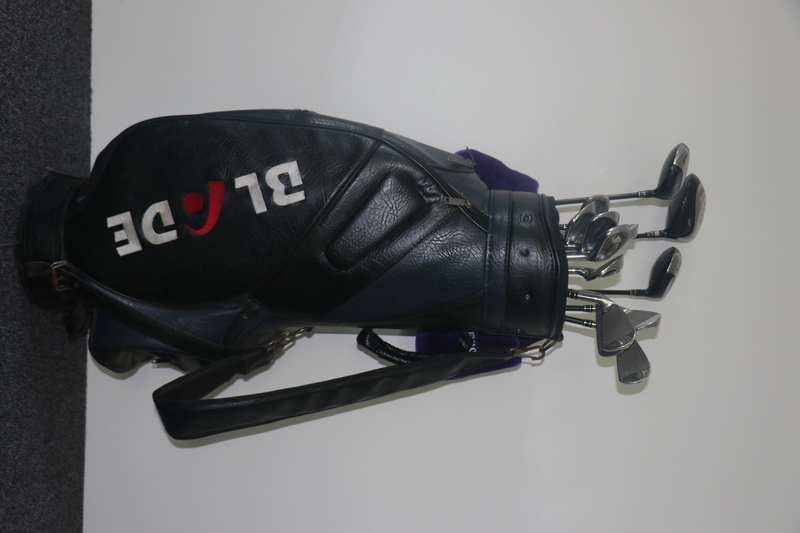 Bag and 3 wood covers included.